UPDATE: Fortnite update 6.30 has been confirmed by Epic Games. The next Fortnite patch is a content update, which means it's unlikely to be accompanied by any downtime. The update and full patch notes will be available at 1pm UK time. "Something Wild this way comes," reads the Epic tweet. "The v6.30 Content Update rides into town on Tuesday, November 20 at 8 AM ET (1300 UTC)." The tweet seemingly confirms the addition of the Wild West LTM, while Dynamite was announced in the game's newsfeed. ORIGINAL: Fortnite fans are eagerly awaiting the release of the next major content update. Fortnite updates have been hugely inconsistent this season. Last week's update landed on Wednesday at 10am UK time, while the previous update dropped at 9am GMT on a Tuesday. Epic Games will announce its plans soon, but it's safe to say that update 6.31 will launch on November 20 at the earliest and November 21 at the latest. Expect it to be accompanied by server downtime, a lengthy list of patch notes and more leaked skins. One thing we can be sure of is that the new update will usher in the brand new Dynamite weapon. Dynamite has been confirmed in the game's news section, after leaking last week. "Light the fuse and wait for the boom!" reads the in-game description. Dynamite is expected to play a big part in the rumoured Wild West LTM, which should also launch this week. Discovered by Fortnite: Battle Royale Leaks (@FNBRLeaks), the Wild West limited time mode will limit weapons to shotguns and hunting rifles. Players will also be able to use dynamite, which is expected to launch alongside next week's content update. 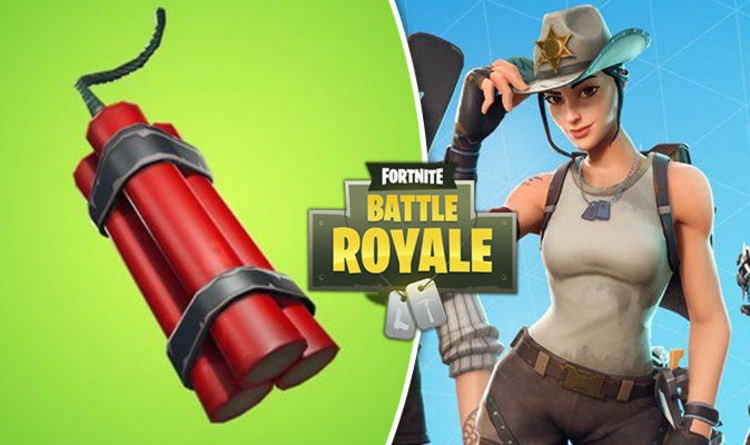 "[LEAK] The Previously Leaked Dynamite Explosive will most likely be next weeks Content Item which will be featured in an LTM Called 'Wild West' Where items are limited to Hunting Rifles, Shotguns, and Dynamite!" reads a Fortnite: Battle Royale Leaks tweet. "The Wild West LTM will probably be the most skill based LTM ever. Unless Dynamite is overpowered as hell, but just Shotguns and Hunting Rifles? Sounds like hella fun considering the amount of build fights and no SMG Spam." A Wild West LTM would certainly make the battle between Fortnite and Red Dead Redemption 2 all the more interesting. Elsewhere, the Epic Games Trello board also reveals some of the issues being investigated by the studio. Player models in Replays are sometimes getting stuck with Shadow Stone effects. There's also a problem with music for certain emotes not playing.